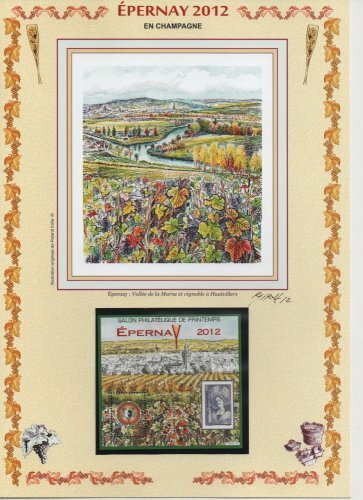 The 2012 Spring Exhibition in Epernay just closed its doors. It was generally agreed this event was a success and this brings good sounds for the next event that we co-organize in October MARCOPHILEX XXXVI. In the meantime you can acquire the souvenir that the association has published for this exhibition.